The 'Massovivo' by Frescobaldi born in the territory of the Tenuta dell'Ammiraglia, characterized by cyclopean stones of yellow color called, in their outcrop, living boulders. This Vermentino with its intense straw color, surprising for its floral and candied fruit notes, as well as for its intriguing minerality, typical of the territory. 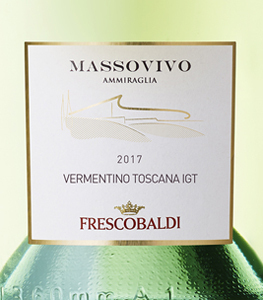 THE WINE The 'Massovivo' by Frescobaldi born in the territory of the Tenuta dell'Ammiraglia, characterized by cyclopean stones of yellow color called, in their outcrop, living boulders. 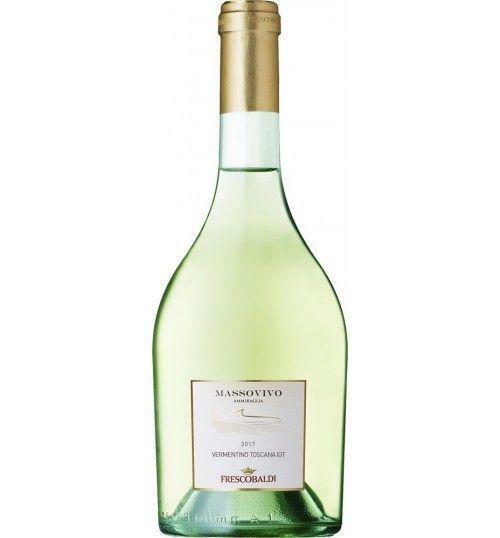 This Vermentino with its intense straw color, surprising for its floral and candied fruit notes, as well as for its intriguing minerality, typical of the territory. THE COMPANY No other Italian winery can boast the history, prestige and vision of the Marchesi Frescobaldi. A Florentine family dedicated for thirty generations and for 700 years to the production of great wines, with the constant goal of being the most prestigious Tuscan producer. A company that has always believed in respect for the territory, focuses on the excellence of its grapes, invests in communication and in the professionalism of human resources without ever forgetting respect for tradition and openness to research and experimentation. In 1855, first in Tuscany, they planted cabernet sauvignon, merlot, pinot noir and chardonnay, in the estates of Nipozzano and Pomino. In 1894 they built in Pomino, a town not far from Florence, the first Italian winery able to exploit the natural gravity for the decanting from the barrels and are distinguished, in the same period, for the introduction of the "specialized vineyard". In 1989 they bought the estate of Castelgiocondo in Montalcino and in 1995 they inaugurated the Tenuta Luce della Vite estate in Montalcino, to which the Tenuta Conti Attems in Friuli was added in 2000. Last luminous projects concern the control of Tenuta dell'Ornellaia in Bolgheri in 2005, and in 2011 the inauguration of the modern winery of Ammiraglia in Maremma. All wines labeled "Marchesi Frescobaldi" are born from the passion, experience, skill and love for an elected territory, Tuscany, which has become the ideal cradle of high quality wines. With a vineyard area that, at the moment, is almost one thousand hectares, and with an annual production of around seven million bottles, from the Chianti area to the Pomino area, from Montalcino to the Maremma, the perfect knowledge of the environment and the uniqueness of the terroir allows to guarantee a constant quality and a marked personality of the wines, all - none excluded - exceptional. Labels, those of the "Marchesi Frescobaldi", elegant and harmonious, balanced and involving, exciting and unique. Before 14,00 € tax incl. Tasting Color: straw yellow with golden reflections. Bouquet: broad, Mediterranean notes of hawthorn and rosemary, hints of mandarin. Taste: delicate, harmonious, enveloping end of ripe fruit and sapid mineral aftertaste. No other Italian winery can boast the history, prestige and vision of the Marchesi Frescobaldi. A Florentine family dedicated for thirty generations and for 700 years to the production of great wines, with the constant goal of being the most prestigious Tuscan producer. A company that has always believed in respect for the territory, focuses on the excellence of its grapes, invests in communication and in the professionalism of human resources without ever forgetting respect for tradition and openness to research and experimentation. In 1855, first in Tuscany, they planted cabernet sauvignon, merlot, pinot noir and chardonnay, in the estates of Nipozzano and Pomino. In 1894 they built in Pomino, a town not far from Florence, the first Italian winery able to exploit the natural gravity for the decanting from the barrels and are distinguished, in the same period, for the introduction of the "specialized vineyard". In 1989 they bought the estate of Castelgiocondo in Montalcino and in 1995 they inaugurated the Tenuta Luce della Vite estate in Montalcino, to which the Tenuta Conti Attems in Friuli was added in 2000. Last luminous projects concern the control of Tenuta dell'Ornellaia in Bolgheri in 2005, and in 2011 the inauguration of the modern winery of Ammiraglia in Maremma. All wines labeled "Marchesi Frescobaldi" are born from the passion, experience, skill and love for an elected territory, Tuscany, which has become the ideal cradle of high quality wines. With a vineyard area that, at the moment, is almost one thousand hectares, and with an annual production of around seven million bottles, from the Chianti area to the Pomino area, from Montalcino to the Maremma, the perfect knowledge of the environment and the uniqueness of the terroir allows to guarantee a constant quality and a marked personality of the wines, all - none excluded - exceptional. Labels, those of the "Marchesi Frescobaldi", elegant and harmonious, balanced and involving, exciting and unique.